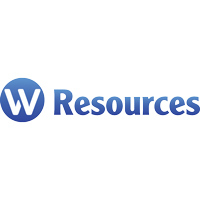 W Resources Plc (LON:WRES), the tungsten, copper and gold, exploration and development company with assets in Spain and Portugal, has today announced results of the first two holes from the RC drilling programme completed in July 2016, which have been assayed at the new La Parrilla mine laboratory. Hole IRC1-44 located 25m to the south of high-grade Hole IRC1-40 has reported assay results of 40m at 0.496% WO3 and 0.112% Sn while Hole IRC1-41 has reported 11m at 0.126% WO3 and 0.02% Sn. Hole IRC1-44 shows continuity and very high grades of both Tungsten and Tin from surface in areas previously categorised in the mine plan as waste.